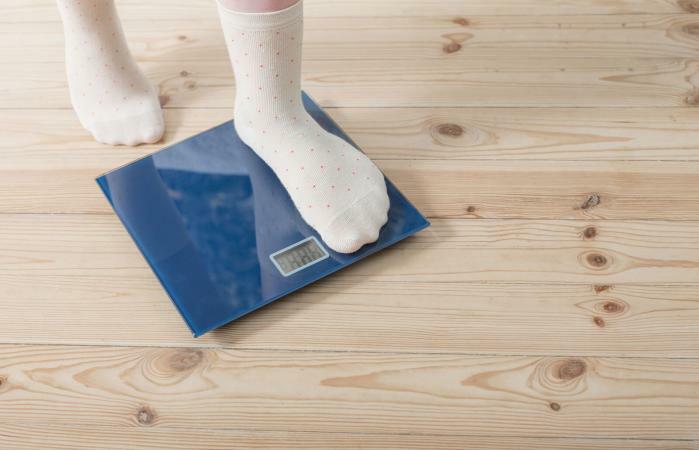 For some teens, losing weight is the last thing on their mind; instead, they want information on the fastest ways to gain weight. Gaining weight can be difficult for some people, but it's not impossible. Just as with losing weight, you need to do it in a healthy way. People gain weight by consuming more calories than they burn throughout the day. The extra calories get stored in your body for times that you don't get enough to eat and you need energy. While calories may equal junk food to you, not all high caloric food is junk. It's important to eat a lot of vegetables and fruit throughout your day but to increase your calorie consumption, pair it with chicken, bread, pasta, and potatoes. It can also be helpful to increase your consumption of healthy fats like nuts and fish and use full-fat dairy products. The best way to get more calories into your body is to eat more often. You should eat six small meals a day (3 meals and 3 snacks). At each meal, eat something healthy and eat it until you are full. A couple of hours later have a healthy snack. Then have lunch and another snack in the afternoon. Finally, have a good healthy dinner with a snack before bedtime. Snacks should be high in calories and protein such as nuts. If eating that much is impossible, try making a shake for your snacks that includes meal supplements that include protein and other safe, natural weight gainers. While you don't want to introduce a ton of junk food into your diet, drinking a milkshake or eating a bowl of ice cream every couple of days will give you calcium and protein, which your body does need - so indulge a little. A great way to gain weight in a healthy way is to increase your muscle mass. Exercising will make you look and feel better. Lifting weights will make your body strong by increasing your bone and muscle strength. While you may not look significantly bigger, you will weigh more. To build muscle mass, you could try weight lifting exercises or join an exercise program designed for building muscle. Caffeine in soda and coffee can suppress your appetite, which will make it difficult for you to consume those six meals a day. Don't waste your stomach space on something that isn't giving you the calories you need to gain weight. Rather than drinking a soda to get energized, you can try drinking some ginseng or eating some high energy foods like trail mix. You can also use music to get you pumped up. Protein helps you build and repair muscle tissue that will give you the weight gain you are looking for. Make sure you get at least a gram of protein for every pound of your body weight each day. To help, you can add protein powder to a drink like a milkshake or a smoothie. When it comes to protein powders, they aren't all the same. You'll want to look for premium whey powders that are safe for teens. If you are a vegetarian or vegan, try plant-based protein powders. Eating late at night doesn't give your body the chance to burn it off before you go to sleep, so instead of a midnight snack, have a snack right before bedtime. Again, this should be something high in calories and protein. You aren't looking to overindulge in ice cream and candy, you want to snack on beneficial foods that are high in good healthy fats like avocados and nuts. Typically, teens are gaining weight to meet a body weight goal. Depending on their height a healthy body mass index (BMI) is between 18.5 and 24.9. Teens should stop gaining and go into maintenance mode once they reach their healthy BMI. However, there are a few pitfalls that you will want to avoid when gaining weight. You want to make sure that you maintain a healthy body weight. Watch out for gaining too much weight. Don't forget cardiovascular exercise. 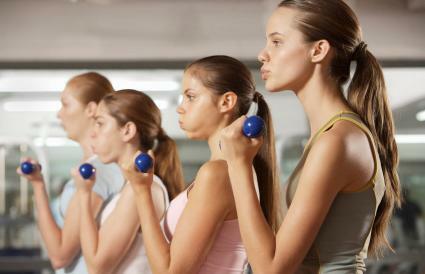 Weight lifting can help build muscle, but cardiovascular exercise, like running, is good for your heart and lungs. Eat your vegetables and fruits. Meats and healthy fats are important but so are fruits and vegetables. Don't skimp on the veggies. Try not to gain weight too quickly. This is a marathon, not a sprint. Aim to gain only 1-2 pounds a week. Avoid overeating unhealthy fats like candy and ice cream. They will help you to gain weight but not in the right way. Before changing your diet, always speak to your doctor. It's important that you get the go-ahead from your physician so that you don't aggravate or develop any medical problems. Your doctor can also give you additional recommendations on how to gain weight fast as a teenager.